Arkansas’s lower income workers face some of the heaviest licensing burdens in the country. That hurts job seekers, entrepreneurs, and consumers. These regulations also disproportionately harm military spouses, ex-offenders, minorities and immigrants. But new legislation could lead to better rules and more opportunities for Arkansans. “Fortunately, sunset reviews are effective in reducing licensure burden across the U.S. Sunset reviews are regular examinations of different licensing entities, in this case every 6 years, in order to guarantee maximum effectiveness of public protection at the lowest burden to the public. Currently 26 states conduct sunset reviews, with two states already implementing them this year: Idaho and Ohio. Sunset reviews are a chance for the Arkansas government to suggest and make changes at the local board level. What is good policy for the board of counselors may not be good for the board of cosmetology, and having this localized review of boards will help with that. You can check out Kanode’s full testimony here beginning at 11:29:13. 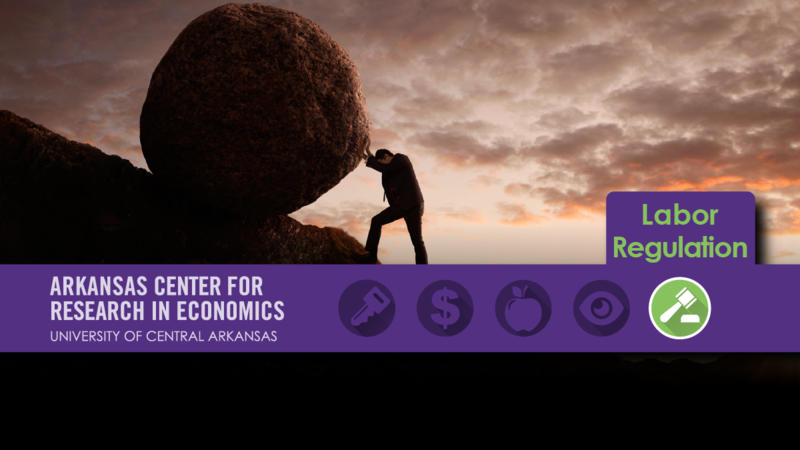 “The State of Occupational Licensing: Arkansas” co-authored by ACRE Scholar and UCA Associate Professor Dr. Thomas Snyder with researchers from the Mercatus Center with a related infographic that highlights the harms caused to ethnic minorities, military spouses and immigrants. “Unnatural Rights in the Natural State” a policy review was co-authored by ACRE Scholar and UCA Associate Professor Dr. Thomas Snyder with ACRE Director and UCA Associate Professor of Economics David Mitchell and Amy Fontinelle, an editor and author of several economics and policy related works. The authors discuss which occupations have the most burdensome licensing laws, how these restrictions affect job seekers, entrepreneurs, and consumers; and how we can reform the worst parts of these regulations. “Occupational Licensing Reform Across the United States” by ACRE-affiliated researcher Marc Kilmer looks at occupational licensing reform attempts across the nation including.